This easy to grow plant is our most popular, because of her outstanding quality. 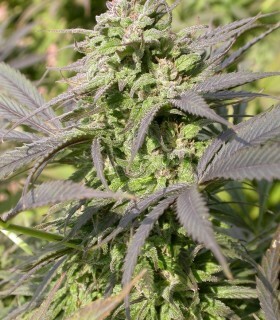 AK-47 has been often copied or used by other seedcompanies for crosses. This plant is of medium height and produces very good yields quite quickly. Extremely STRONG odour and smoke. Legendary for its bubblegum sweet smell and euphoric high. Bubble Gum grows into a medium tall plant, usually not too branchy (sometimes tall) and produces compact, crystal covered buds. Plants grown from seeds are very similar to one another. Originally the Bubble Gum-strain was developed by growers in Indiana, USA. Our biggest yielder Chronic was crossed with Remedy, a strain with extremly high CBD-content, in a collaboration with the CBD-Crew. The combination was lab-tested in Spain and ALL 10 samples had a 1:1 ratio of THC:CBD. One of our most flavourful strains Warlock was crossed with Cannatonic, a strain with a very high CBD-content, in a collaboration with House of the Great Gardener from Canada. The new cross was lab-tested in Canada and 9 of 24 samples had a 2:1 ratio of THC:CBD. Chronic is our most commercial variety, this medium height, not too dense plant is the perfect combination of very good yield and excellent quality. Smokers who appreciate high-quality and grow for themselves choose this plant for its combination of appearance and sweet smell. Kali Mist is arguably the top Sativa strain available on the market today, she is often called the Queen of Sativas. She grows into classical Sativa plants with very few leaves, producing much higher yields than you would expect.This strain produces dense clusters of full spirally buds, with a very high resin content and a delightfully spicy scent. This short/squad-growing Indica plant is the final creation of a long process of development by Magus Genetics. The project combined Sensi Star and Warlock into the ideal indoor plant; during development the genetic lines had names like Starwarz, Medizin Power and London Memories. 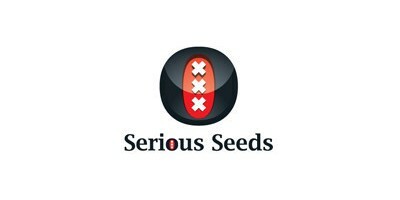 Serious 6 was created as an almost pure Sativa with a very short flowering time by mixing genetics from Canada with Sativa-landraces from Africa. She is vigorous, very mold-resistant and will finish VERY EARLY outdoors, from the middle to end of September, even in a humid and cold climate. Two legends were crossed to produce this strain. We combined our famous Warlock-father with our legendary AK-47-mother and the result gave us pure happiness! In fact this hybrid brings happiness TWICE. First you will be happy about how easy to grow she is. Its finally here: the serious version of the legendary OG-Kush! We have taken our world famous White Russian and crossed it with an original clone of OG-Kush originating from the US. The new cross has the supreme dankness of the OG-Kush with the extreme amount of crystals of the White Russian.